In order for you to quickly discover if you have a water leak it is important that you know where to find your water meter and how it works. To locate your water meter, it is usually right outside the boundary wall or hedge of your premises. All of the newly installed meters will look like this. This is a meter in Dublin but it should be the same all over Ireland. Using a pry bar as shown or a flat screwdriver, insert it into one of the 3 openings and prise the lid off. For some of the older meter box types you will need a certain shaped key to be able to open the lid. When the lid is off you will see some foam know as a frost plug. This can help prevent hard frost from freezing the meter. Dont lose it, or if you do substitute it with some old clothes. This is how the water meter looks. Some of the meters may not look exactly like this one as they may have been installed some time ago as part of the planning regulations. 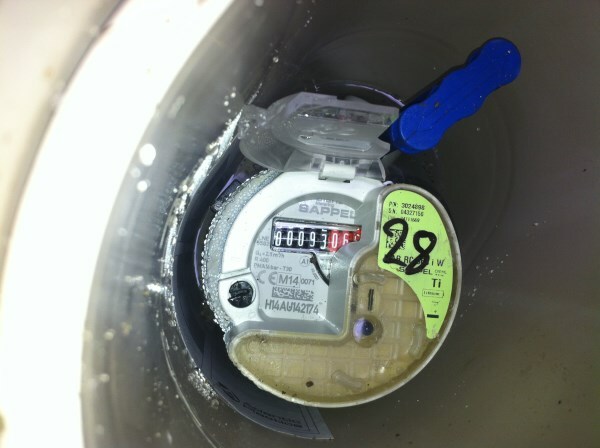 The water meter has a transponder clamped onto the top of it. 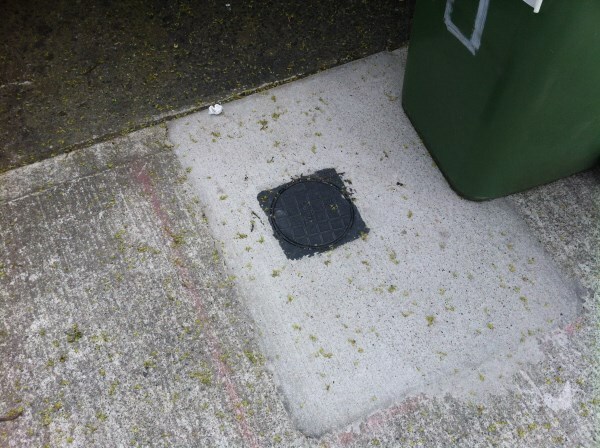 This is so that the meter reading can be downloaded as the meter reader drives by, therefore there is no need for Irish Water to open the box and take a reading. The blue handle is for turning off the water supply to the meter. Next time we will be looking in depth at the meter and how to determine how much water you are using. If you would like to know more or suspect that you have a leak you can call us direct on (01)5376294. Or leave a comment if you would like a topic covered.